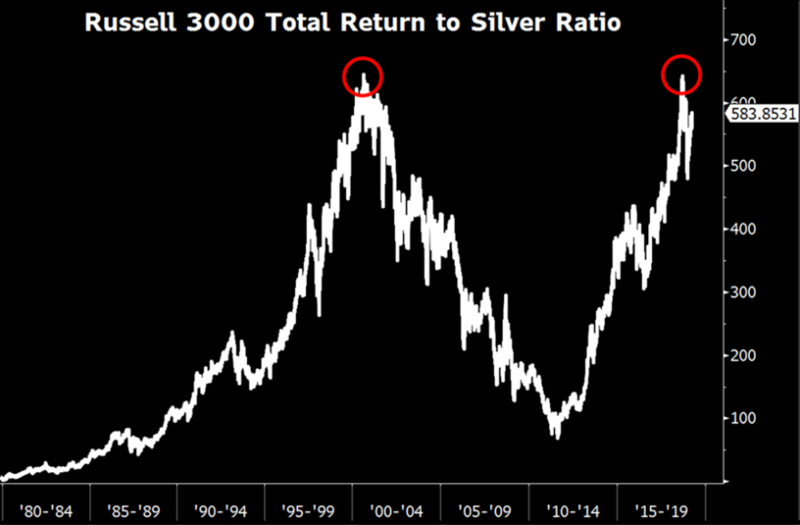 Russell 3000 to silver ratio now near record levels! Double top formation after a retest of peak tech bubble levels? Stunning how historically depressed a “high beta” safe haven asset is this late in the cycle.